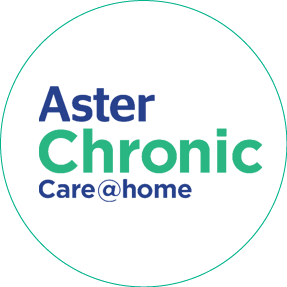 Aster Chronic Care is a program to manage chronic diseases (Diabetes, Hypertension etc.) that will enable customers to manage their chronic diseases by use of an Intelligent Health Service Platform. Our objective is to help people to manage Diabetes and hypertension to live healthier, longer and quality lives. With focus on empowering patients to take control with shared responsibility, we employ the latest technology across a vast network of practitioners and clinics under Aster DM healthcare to deliver excellence across the disease management environment.